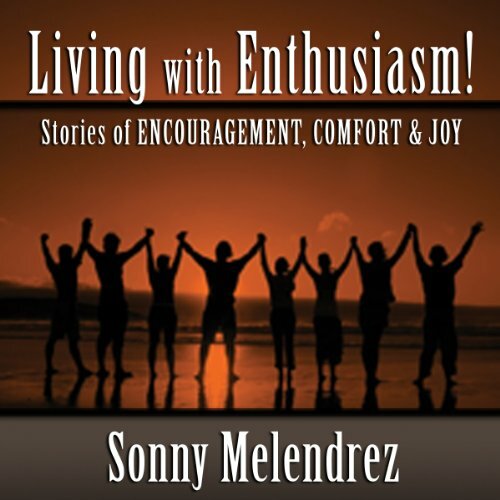 Award-winning broadcaster and motivational speaker, Sonny Melendrez, shares his secrets of how to fill your life with enthusiasm daily. This audiobook was written for those with a burning desire for a better life ahead. Whether you have "been to the mountain" or are ready for your first climb, The Art of Living with Enthusiasm! can excite your spirit with thoughts of appreciation, prayer and possibility. About the author: Sonny Melendrez was born to inspire. Making people happy has always been an important element in the life of this dynamic radio and television personality, author, and inspirational speaker. A great collection of inspirational life learning adventures. Wonderfully narrated with humor and kindness. I wish each of us would learn the lesson Sonny heard from Mrs. Rubinstein. ending message is exceptional, thanks for sharing, Sonny! cool to hear avout your humvle beginnings and adventures.